It may not be everyone’s dream, but my dream was to see magical storybook homes atop the hills of a gorgeous island. Until last week, I did not think my eyes were going to feast on such beauty until I arrived on a ferry to the Amalfi Coast. It was as if it was a scene from a movie and I was experiencing an unreal dream from the most peaceful sleep of my entire life. 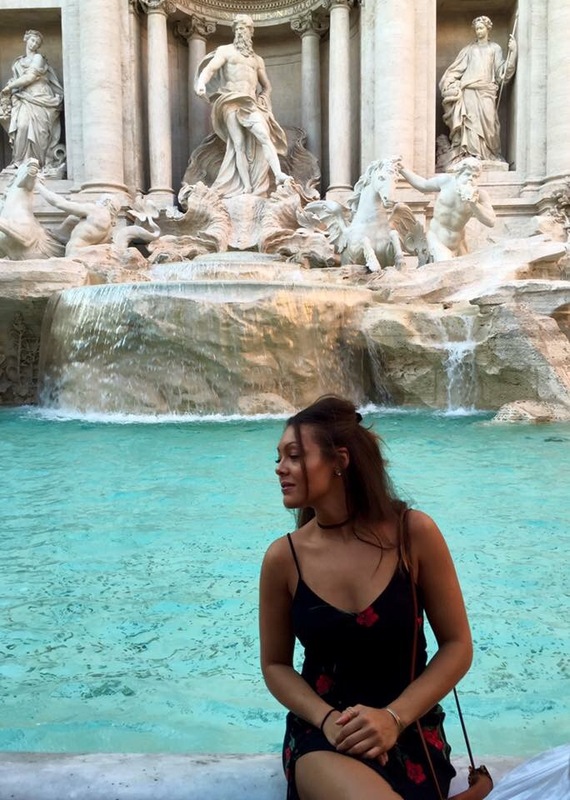 But our first stop was a night in Rome where we walked around the streets and ended up at the Di Trevi Fountain where we made wishes in hopes they would come true. I had a true Lizzy McGuire moment. I must remark that “Italy” should be called “EYEtaly” because men stare at women admiring every feature. It was quite flattering receiving such unique compliments. The Italians admired beauty in a different way. Not just admiring outer beauty, but they seemed as if they were trying to understand inner beauty and that was very intriguing. My friend and I felt as if we were aliens touching down from outer space. Anyways, ladies, go to Italy if you want to feel extra good about yourself! After a day spent in Roma, we were on our next adventure to the Amalfi Coast. We arrived by ferry to Amalfi and Positano where we looked up into the hills. We took it all in. The cool breeze was a breath of fresh air and people were walking around with the same admiration as us. 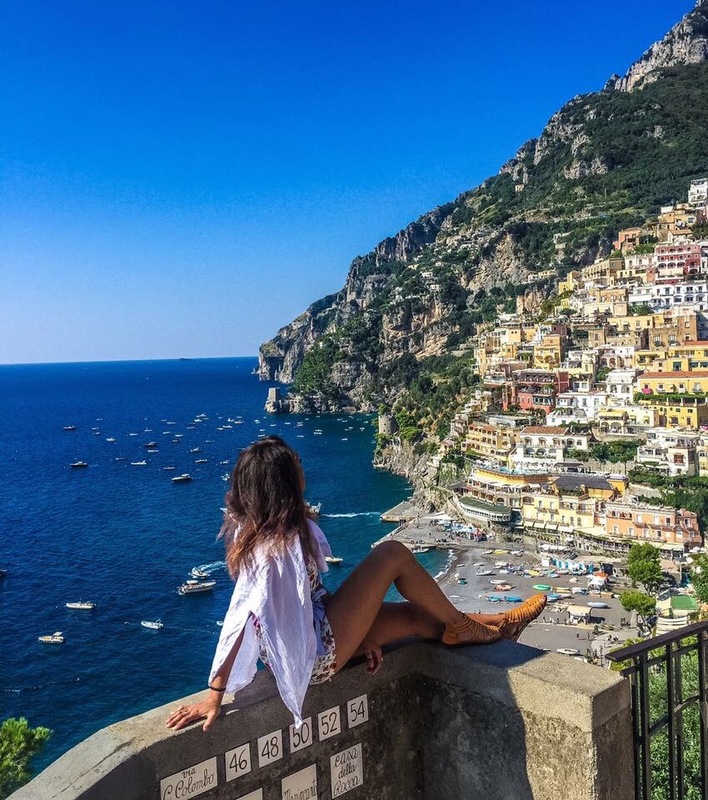 But what makes Positano and Amalfi so dreamy? Well, pictures of course. Pictures. Google one picture of Positano and your heart will immediately be fluttering at the thought of stepping foot in this village. 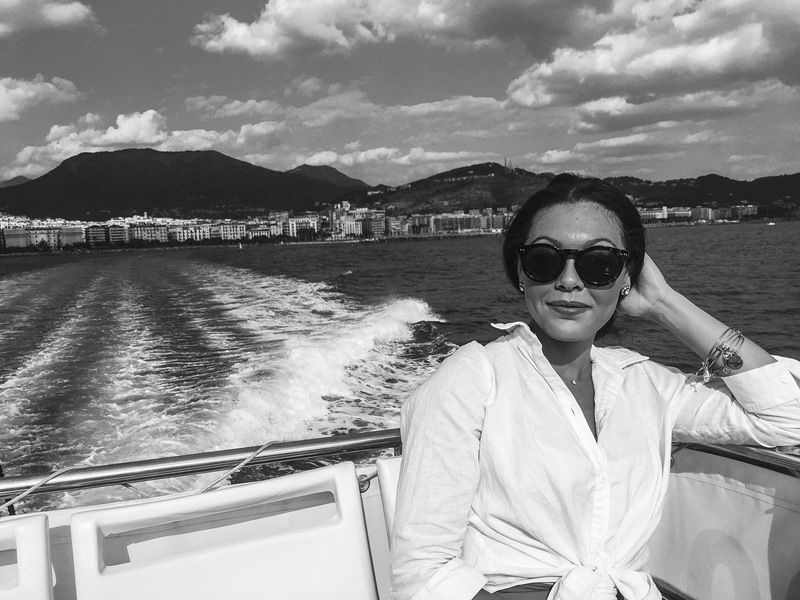 I am not sure about you, but I am most at peace by the sea. The Tyrrhenian Sea was motionless as it aligned against the shore with the wind humming a tranquil melody. I felt a sense of inner peace as I stood looking out into the endless sea. Positano is featured in many films including Under the Tuscan Sun, and inspired The Rolling Stones to write “Midnight Rambler” while on their vacation. The Amalfi Coast is mentioned in many artists lyrics including Beyonce, Drake, and Hooverphonic. It also shows Audrey Hepburn driving up the coast from a Galaxy Chocolate commercial. Walk around the small streets between the hills of Amalfi and find beautiful Italian clothing and ceramic, Italian pottery. Italy is known for lemons, so breathe in the smell of fresh lemon aroma and scented candles. Maybe try Limoncello, which is a popular alcoholic lemon drink sure to satisfy your alcoholic sweet tooth. Supposedly, the months of September and October are peak travel tourist season all over Italy. I noticed Rome to be overly touristy, so if you are not big on crowds, then definitely travel during off season because there was body all over body at the Trevi Fountain. I was not necessarily all about trying to get people out of my picture every second. You must take the bus (T.A.M. – Tirreno Azienda Mobility Rome) from Rome airport (Leonardo da Vinci–Fiumicino Airport) to Rome Termini Railway Station. Bus is 8 euros roundtrip. The bus to Rome Termini is about one hour. Next, take a high-speed bullet train for about 39€ (it varies during seasons) to Salerno. The name of this train is called Italo and you can purchase tickets online, or at the train station. Tickets can range in price depending on “class”, and/or if you want to take a high speed train, or a train that makes multiple stops. I advise you to take the high speed, non-stop train so it gets you to paradise quicker! Also, you will see some magnificent views taking the train through the countryside of Italy. Rome Termini Railway Station to Salerno is about two hours if you opt for non-stop. →Each island can take you to other islands varying by price. My friend and I figured this all out by ourselves, so you can too! Sundresses and rompers better be in your suitcase! 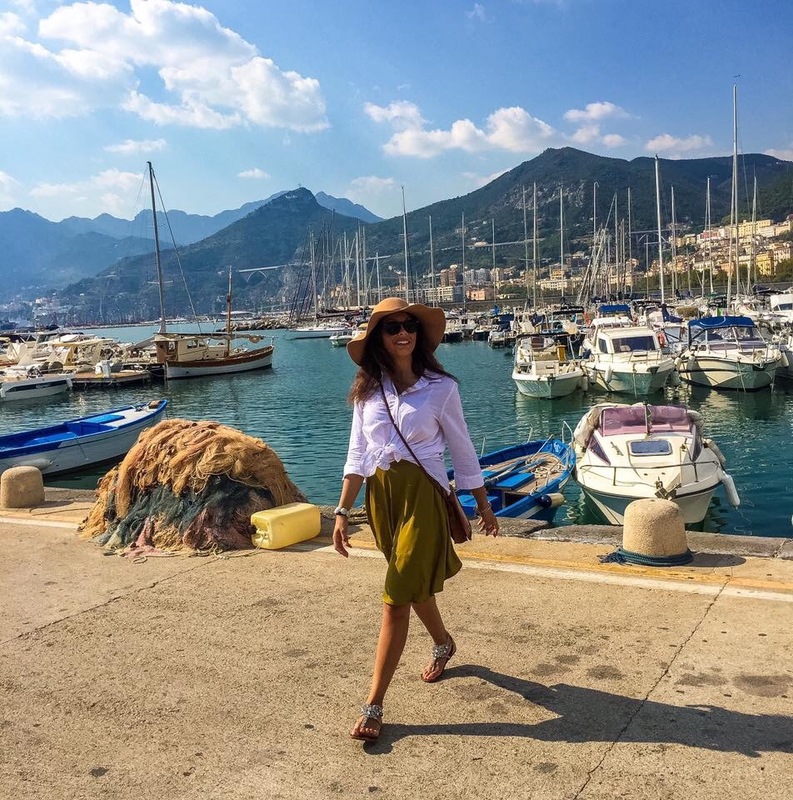 For the theme of Italy, I wore a lot of floral prints and neutrals to match the gorgeous scenery. I feel as if these pieces had “Italy” marked all over them! Bring jeans and a light sweater for nights out in the city. Pack COMFORTABLE shoes! Unless you are planning on taxiing everywhere, bring flats and sandals. 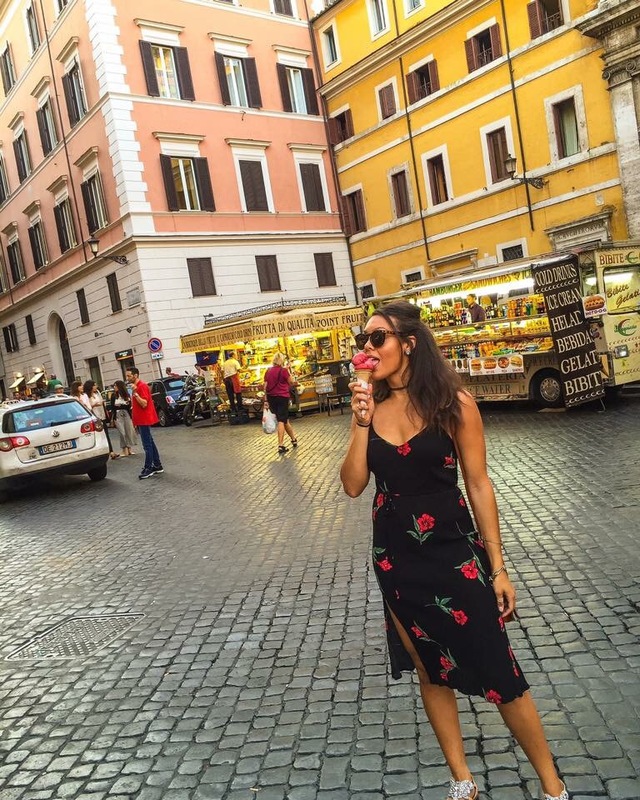 You will thank me later when you are walking miles around the city of Roma and Amalfi. LOTS of gelato. I am super lactose, but I made the exception. To my surprise, I was not affected by the magical gelato. Honestly. I was a huge fan of the spaghetti bolognese. Another surprise, meatballs are hard to find, so I settled for this type of meat in my pasta and I was not disappointed. If you are a wine drinker, always opt for the house red wine. My friend ordered spaghetti with clams and it was outstanding. I am telling you right now, you will most-likely not go wrong with any type of pasta in Italy. A suggested tip given by a friend is to always try classic Italian food nowhere near touristy areas. 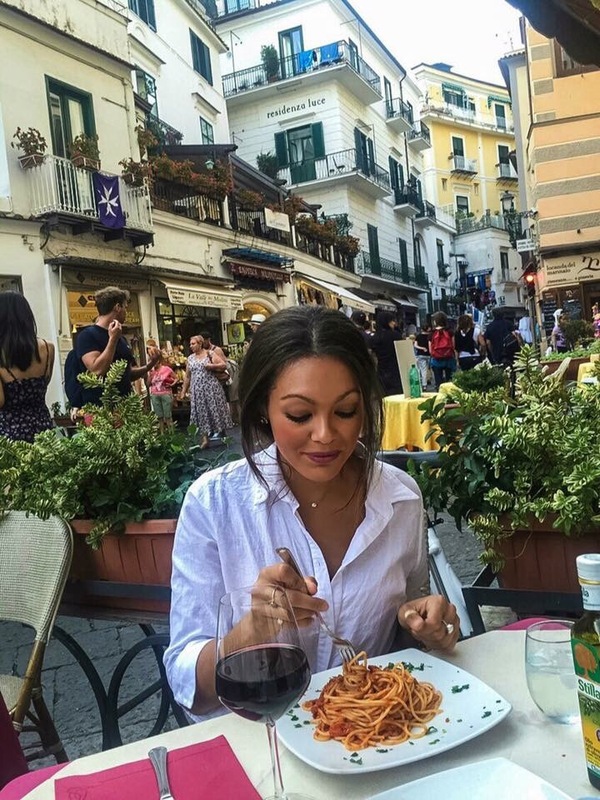 Real Italian food is supposedly better away from tourist areas, although I am not picky when it comes to pasta! Airbnb always for the win! Hostels with their own private bedroom and bathroom was our go-to as well. We stayed at several different places so we could change things up. I advise you to pack small if you decide to stay in different areas. Make sure to trek around the island and capture as much beauty as possible. Take videos so you can virtually one day return to that exact moment. Take advantage of each opportunity because who knows if you will ever return. 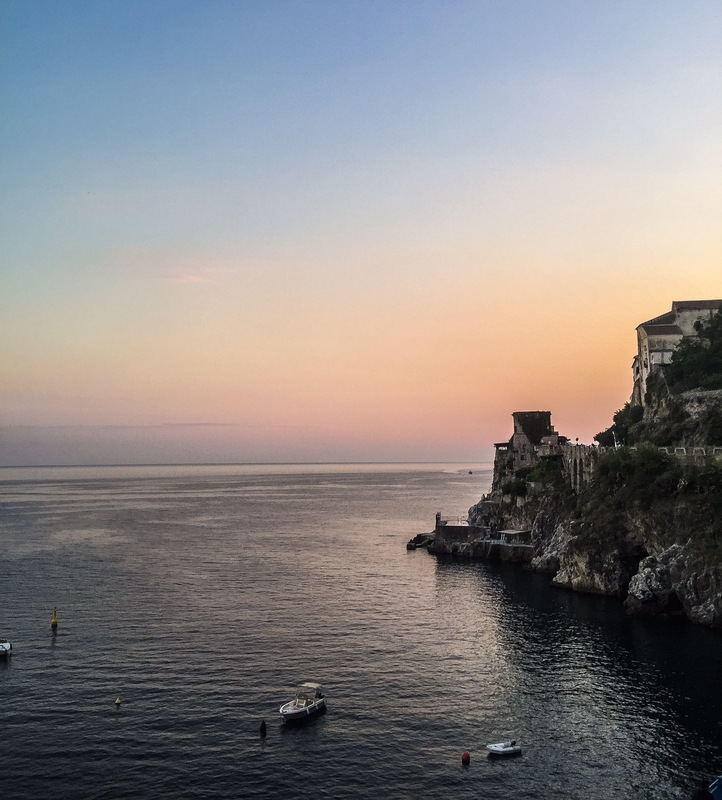 The Amalfi attracts thousands of tourists a year, but still continues to be an exclusive island full of rich culture, authentic pasta, and refreshing gelato! Sounds absolutely beautiful! Many people dream of traveling in their lifetime but life gets in the way. I’m glad your taking it all in and enjoying every minute! But it is an absolutely stunning place. Maybe you and Tim should take a vacation there in the near future 😉 See you soon!! Such a great post, dear! I really want to visit Italy- hopefully sometime next year! I would love to know the type of transportation you used often during your trip- car, public bus, on foot? As far as transportation, it was really easy to navigate around Rome. The metro is easy and so is figuring out which Euro trains to take. I promise it is a lot easier to navigate than NYC transportation lol But other than taking the trains and metro, we walked a lot! Definitely bring comfortable walking shoes. Also, taxi’s are also inexpensive depending on how far you want to go! Ressa! I cannot believe I missed this comment from 2016 LOL! We used ferry, foot, and a bus.